Cayman Freight & Shipping Services Ltd.
What to do when your shipment arrives in Grand Cayman Procedures you have to go through before receiving your shipment. You can decide to clear the shipment yourself or appoint a broker to do so on your behalf. 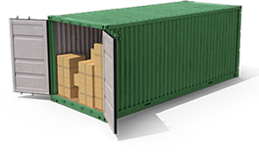 Ship your cargo using any of the shipping companies or one of the agents. For Importing and Exporting of Cargo to/from Cayman brac Thompson Shipping is the only agent/company to import and export freight from Cayman Brac. You may contact them for further information. The Port of George Town has been re-opened and cruise ships will be t.. The Port Authority of The Cayman Islands wish to inform the public and..
Financial Report for the year ended 30 June 2016.. The Port Authority of the Cayman Islands is seeking a qualified Safet.. The Port Authority of the Cayman Islands is seeking a qualified IT Sy..
Grand Cayman is Named as One of the World’s Top Cruise.. The Cabinet has issued instructions regarding direct funding of Non-pr.. In response to recent articles in the press concerning the Office of t..
After many years of concept, planning and design PACI is excited to a..
On behalf of Port Authority of the Cayman Islands (PACI), we wish ever..